Castaldi Financial Solutions, Inc. offers retirement income planning and personal financial coaching services. Founded in January 1993 by Raphael (Ray) Castaldi we are located in Westerly, RI. Ray Castaldi is a Rep-advisor and offers securities through Cambridge Investment Research, Inc.*, an Independent Broker Dealer, Member FINRA/SIPC. Our mission is to help you achieve a high level of confidence through personal goal setting and developing a strategy to each them.This will allow you to live your life more fully by creating a clear financial plan designed to last a lifetime! In order for us to achieve this, we take the time to find out all about you and build lifelong relationships with you as clients. Our purpose is to give you a clear direction and build your confidence through education. We want to support you and your family’s dreams, goals and expectations. We work to achieve this together by elimiting your fears, capturing your opportunities and building on your strengths. This is a unique process that provides you with an essential roadmap to follow in an attempt to assist you in reaching your goals throughout your lifetime. With over thirty-five years of experience in establishing relationships with our clients and creating comprehensive retirement solutions, we offer you the opportunity to take control of your life! Castaldi Financial Solutions, Inc. is a member of the Greater Westerly-Pawcatuck Chamber of Commerce, the Eastern CT Estate & Tax Planning Council, the RI Chapter of The Financial Planning Assoc. (FPARI), and the Hartford Chapter of Financial Services Professionals. *Cambridge does not offer tax advice. In today’s ever changing world, it is impossible for individuals to remain on top of all the latest developments in areas such as Retirement, Education, Estate and Tax Planning, Special Needs Trusts, Investments and more. 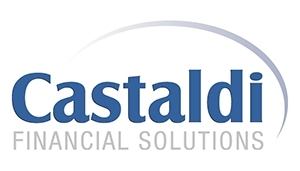 Castaldi Financial Solutions, Inc., through a special network of accountants, lawyers, investment advisors and portfolio managers, has the ability to access timely and up to the minute information in these areas.